The holiday season is here! 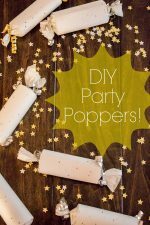 Are you planning to host any holiday parties or dinners? Even if you live in a small apartment, you can still entertain. There’s a fine line between being cozy and being cramped, but if you like to entertain you should never let a small space stop you! 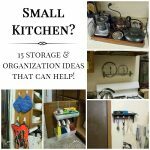 Here are 3 tips to help you host a great event, no matter how big or small your home is! 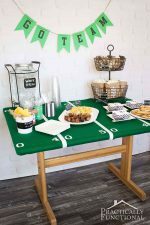 The rest of this post is on ForRent.com’s Apartment Living blog, click here to see the tips for entertaining in a small space! 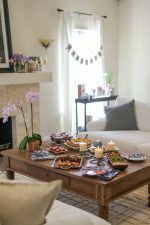 How To Throw A Great Housewarming Party! Home Tour: Living In And Loving Our Small Apartment! 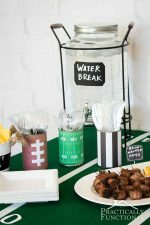 Football Party Ideas: Food, Decorations, & More! Popping over to see the whole post! 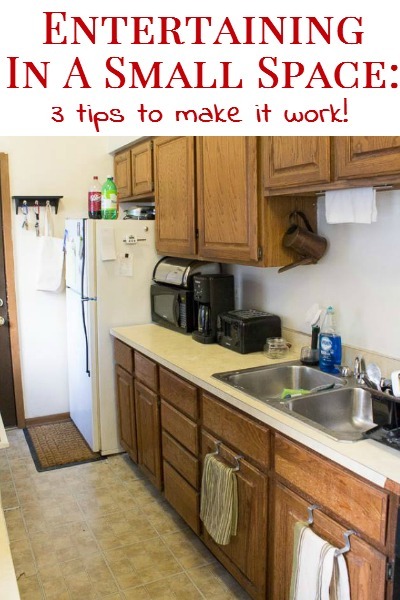 Entertaining tips are always great to have – thanks for sharing! These are great tips. Entertaining can be fun no matter what size space you have to work with. Thanks for sharing at the Pinworthy Projects Party! Great ideas. I especially like the idea of using coffee tables as places to sit by just throwing a cushion on!